The U.S. Army Corps of Engineers has exercised one contract option for Sierra Technical Services to manufacture a second target aircraft demonstrator for the Department of Defense. 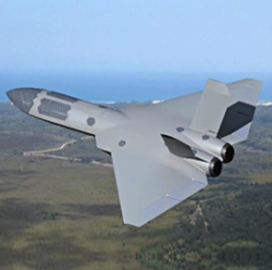 STS said Wednesday it received the follow-on award two years after the company was selected to design, develop, fabricate and test the first 5th Generation Aerial Target, which is scheduled to take a maiden flight in the summer. The 5GAT platform is designed to aid military personnel in air-to-air and ground-to-air weapons evaluation as well as pilot training and ground forces training. Work on the aircraft takes place at contractor facilities in Tehachapi, Calif.
STS completed a critical design review of the initial 5GAT system in June of last year. Fast and Optimal Engineering and 5-D Systems serve as subcontractors to STS on the program.